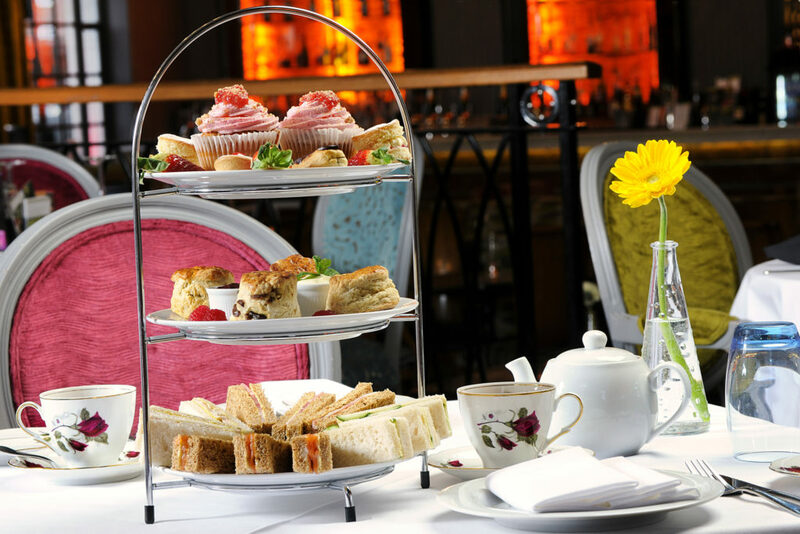 Enjoy a delicious traditional Afternoon Tea with your friends & family in the perfect setting of Grand Café, with unlimited tea & coffee served from 2.30pm - 5.00pm. Freshly cut sandwiches of Egg mayo & cress on white, Wiltshire ham with wholegrain mustard on brown, Poached chicken with lemon & thyme mayo on white & Scottish smoked salmon with beetroot crème fraiche on brown. Scones with clotted cream & preserves, cupcakes, seasonal fruit, chef’s petits fours of the day and a choice of teas from around the world. You can also add some fizz to the occasion with a glass of chilled Veuve Clicquot Champagne for only £27.95 or Prosecco for £23.95 per person. A discretionary service charge of 10% will be added to all tables of 6 and over.